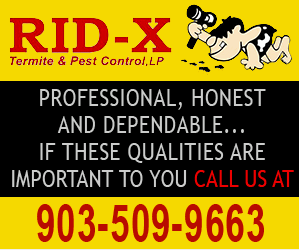 At Rid-X, we know that your number one priority is to get rid of unwanted pests from your home, business, or facility. We share your concern for a pest-free environment. We work by balancing our clients’ needs with environmental stewardship in order to protect your family from serious health risks caused by harmful pest control products, while effectively offering the best pest management solutions. My wife, myself, and all of our employees are pest control experts and we offer a customized treatment plan for your specific pest problem after carrying out a thorough inspection of your home or business to determine the location of pests, their entry points, and what attracts them to your premises. We always use low-risk and eco-friendly pest control products that have no effects on pets and human beings. We give our clients the confidence of knowing that we will safely resolve their pest problems while leaving them and the environment unharmed. We take pride in our most valuable resource, which are our highly trained technicians who always deliver excellent service to our clients. We are keen on establishing long lasting business relationships with our customers. We do this by familiarizing ourselves with our clients’ environment and specific needs. We are a family owned and operated company that has served the entire region for many years. Our company offers award-winning services. We have hired some of the best pest control specialists in Tyler, TX with years of experience and up-to-date training in pest control management and equipment. Our experts are good at finding the root causes of your pest problems and solving them for you once and for all. In addition, we encourage members of our staff to enroll for both internal and external training programs so that they can learn the latest pest control techniques and products. We are one of the few pest control companies that use a Green approach to pest control treatment. Our Integrated Pest Management approach allows us to use the most environmentally friendly pest control methods. We use chemicals minimally to lessen their effects on the environment, but still remain effective in pest control. Our eco-friendly pest control approaches include exclusion (closing entry points), caulking, using screens, baiting, and monitoring. We only use chemical treatment approach as the last option. We use effective pest exclusion and treatments that are based on proven methods. We understand that each residential or commercial pest problem is unique, which is why we provide customized solutions that cater to the unique needs of our clients. In addition, we provide bi-monthly, monthly, and quarterly pest control plans to prevent the recurrence of pests. Rid-X has strict employment policies that allows us to hire only the best pest control specialists in the region. The members of our staff are screened before hiring and go through random drug tests to ensure that we only work with professionals that our clients and we can trust. We have very fast response times. 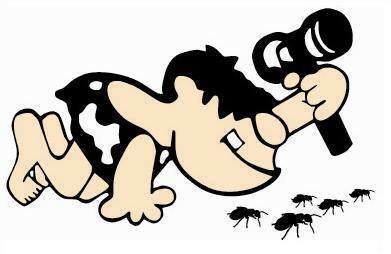 Call us today to take care of your emergency pest problem.